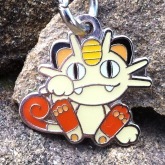 I'm delighted you stopped by to visit my Pokedoll charm history and collection site! Please take the time to browse through the pages; you may just discover a new grail or learn a thing or two about these adorable, hard-to-find charms. 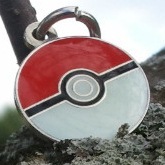 Stop by the 'History of Pokedoll Charms' page to learn when and where the charms were released or check out the 'Charm Checklist' to see individual snapshots of every charm. Maybe you'd like to look at the 'Charm Sets' page, to see what charms were released together and when they were for sale. You can also view my current collection on the 'My Charms' page, filled with close-up images of each charm I have acquired. The 'Searching For' page leads you to a list of all charms I am interested in purchasing, and the 'About & Links' page contains a small biography, links to other collection sites you may enjoy, and methods of contact.